Screenings started in the morning, much before the official Inaugural Function, and I completely loved this. All other festivals I've attended have nothing but the Opening Ceremony on the first day. Watched a couple of short documentaries made by up and coming Indian film-makers. Met some of them and made new acquaintances. It was great to be joined by Hardik Mehta, a friend and film-maker from Mumbai who is here with his short film 'Skin Deep'. Also, a friend from AFMC visited me. The projection and sound is really good, as is the seating. Nothing is too fancy here, not much of show, but the real business - screening of films, is being done really well. 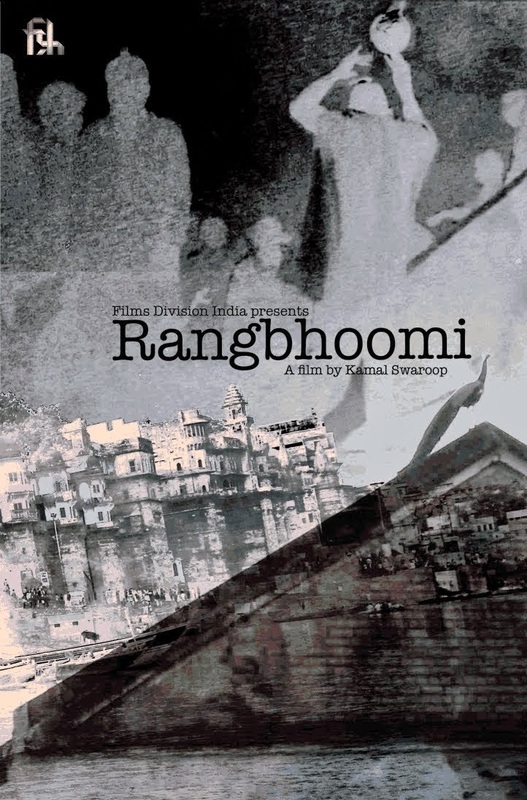 Watched Kamal Swaroop's 'Rangbhoomi' (2013), an entertaining and stylish documentary on Dada Saheb Phalke's days in Varanasi in the 1920s. It made my day! The Inaugural Function was in the evening followed by dinner. It was great to meet Mr. Gauhar Raza, father of Sahir (our DOP from 'Tamaash'). He is here to talk at a conference on science in films. Looking forward to the screening of 'Tamaash' next morning!